Geoff Fernance, who with his wife Stella was proprietor of Gosford photo lab. True Living Colour, for over 30 years, passed away in Gosford Hospital on January 15 after a short illness, aged just 69. 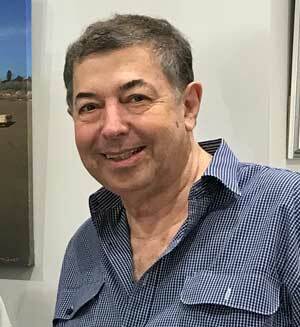 Geoff was a ‘lifer’ in the photographic industry, first working as a production supervisor in Pacific Film Laboratories for six years, followed by a stint as a portrait photographer, and then general manager of Bowens Photographics in Gosford. Prior to opening True Living Colour in 1987 he was technical director of Safai, where he designed high-end labs and co-ordinated the installation of processing equipment. His uncanny skill with lab equipment was often called upon by friendly competitors in the Central Coast photographic community. John Ralph, Erina Camera House, likened him to the straight-talking, ever-resourceful ‘Macgyver’ of the eponymous TV series. ‘Geoff worked long hours to ensure his customers at True Living Colour got their products on time and with top quality. He was generous with his support of Rotary and Photo Marketing Association,’ said John Ralph. That True Living Colour’s clientele included top Central Coast professional photographers is testament to the quality of his work. A celebration of Geoff’s life was held recently with the theme; ‘You can shed tears that he is gone or you can smile because he has lived.’ Geoff probably would have preferred the smiles. Sincere condolences to Stella Fernance, who continues to run True Living Colour in the Imperial Centre, Gosford. Geoff was a true ‘salt of the earth’ kind of guy, and with Stella always at his side was always the nicest people to call on and discuss all manner of things, including current affairs, life in general and the business. A very nice man that will be sorely missed, but fondly remembered.